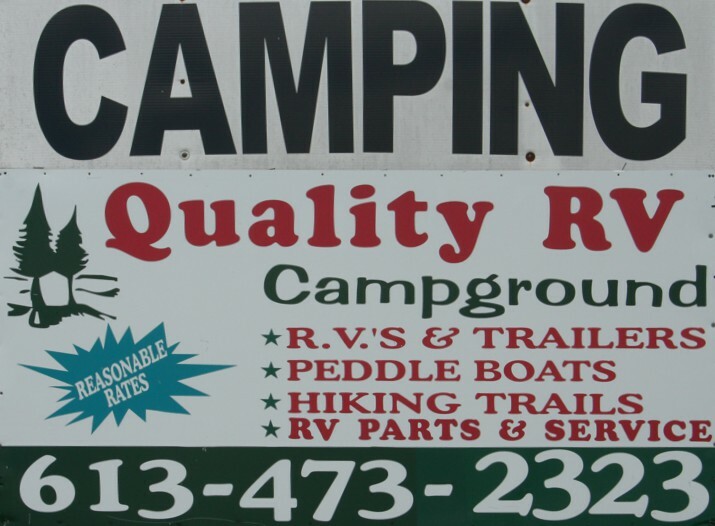 Quality RV Services and CampgroundRecord Owner? Log in. 45 minutes from Peterborough, Belleville...200 km. east to Ottawa. 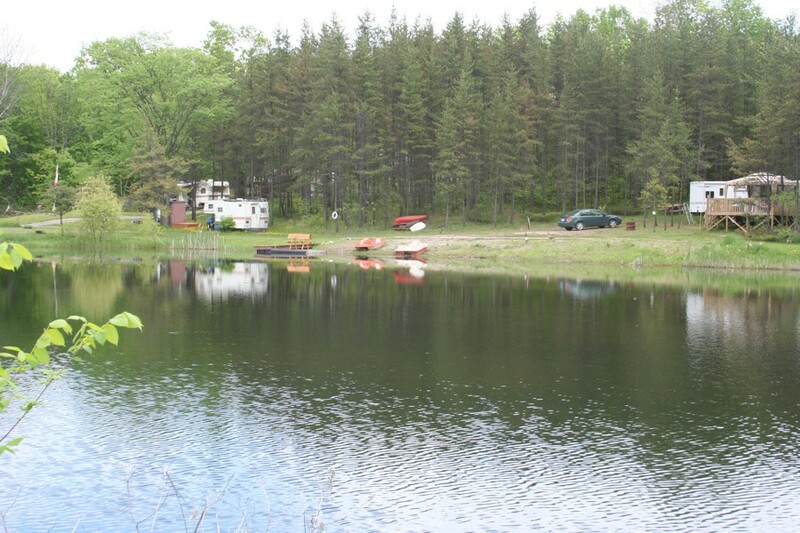 Paddleboats available at our man-made lake. 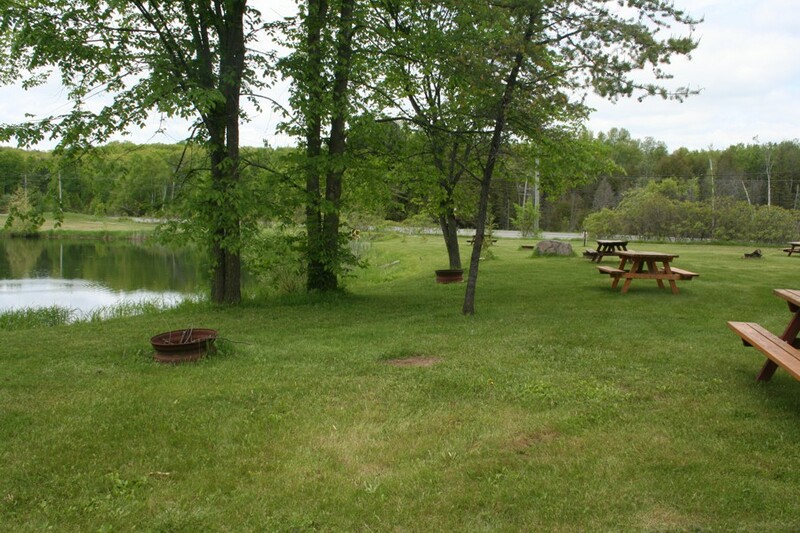 Horseshoe pits. 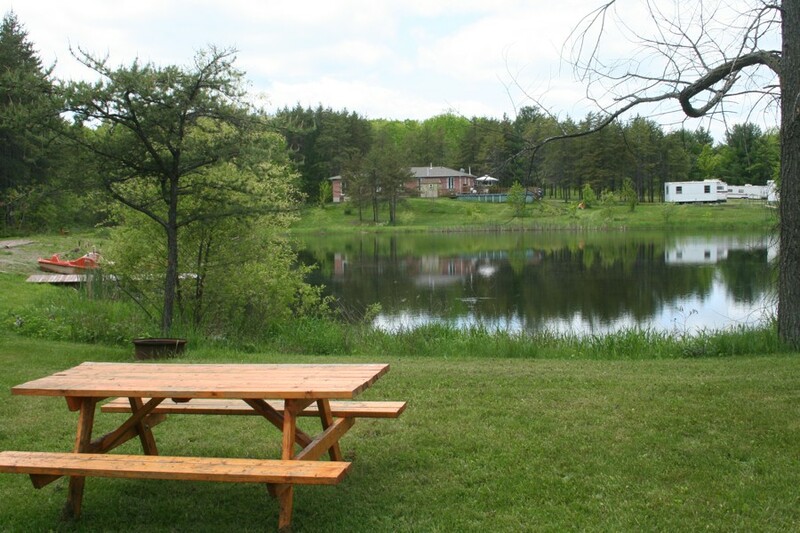 Close to the quaint cottage gateway of Madoc. Licensed Gas Installer, Mobile Services available. 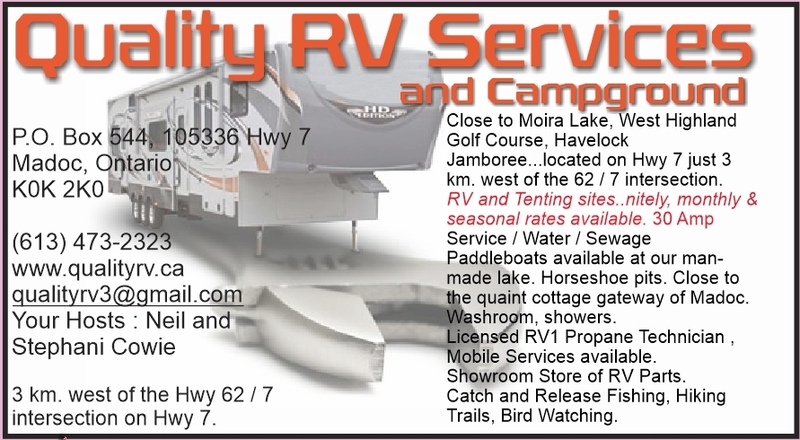 Showroom Store of RV Parts. 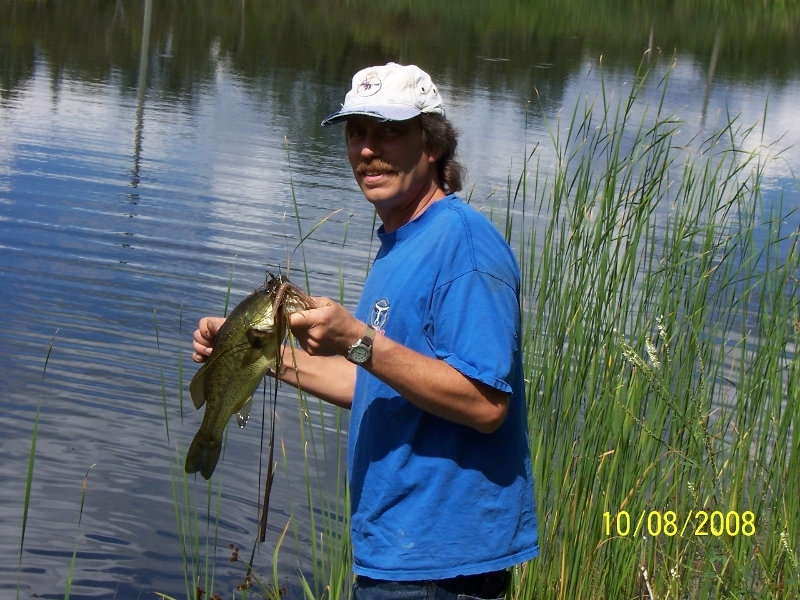 Catch and Release Fishing, Hiking Trails, Bird Watching. 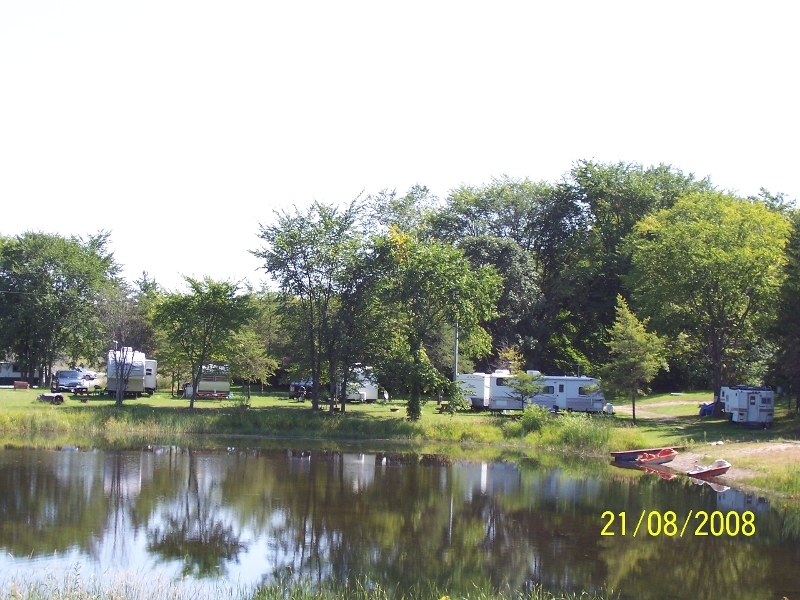 Have something to say about Quality RV Services and Campground? Once again Neil has come to our rescue. Not only did he provided an excellent rooftop HVAC for our park model but he then turned around and solved several problems we had with our travel trailer - problems that he could have disguised and replaced with expensive parts. But no, he located the (simple) issue, repaired it and then clearly illustrated to us what it was including one issue with a fan that was the result of mudwasps building a nest that had solidified to almost rock and prevente dthe fan from turning. Thank you Neil for your honesty and hard work.